The Budulica family from Australia founded Mission in Action Kenya in 2004. After they sold their family home and investments they moved to Kenya to help people in some form of crisis from poverty, hunger or disease. Soon after arriving, they noticed an alarming fact - no one was taking care of the newborn abandoned babies. They started the first babies home in Nakuru Kenya from a small rented property soon after. They have now been working with the community for over 14 years, and have learnt much about how best to work with them. With no welfare system, and no support network there is still a huge poverty crisis in Kenya. Many, many families are vulnerable to abandoning their children due to poverty, and these people we can help. Our project concentrates on orphan prevention, family reunification and family strengthening. 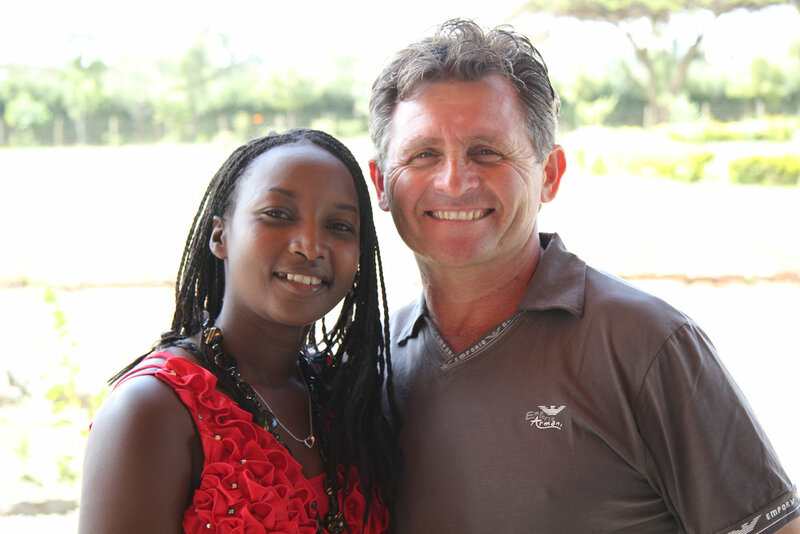 Ivan and Damaris Budulica head up our Kenyan Team. They are Mum and Dad to our children. They oversee the running of our home, school and community projects. Cyrus Kivuti is a long-term friend and an invaluable asset to Mission in Action. It is hard to put into words exactly how much he does for us. Cyrus helps us with our children, our community projects, and anything else we ask of him. Anisha Otieno is the co-founder and in country director of our women’s project – One Tribe Mama. Anisha is a qualified counsellor and play therapist. 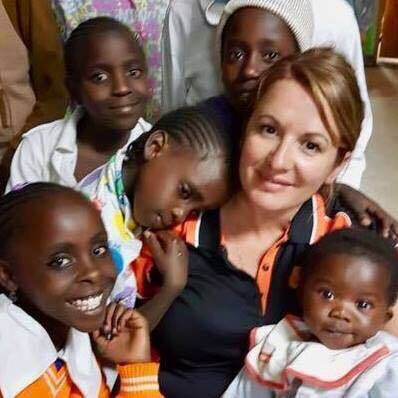 She has been working with vulnerable women and children for the past 14 years. Sandie Stirgess is our Australian Office Manager. She loves everything about Mission in Action and does all of our administration for us. She also runs our women’s empowerment project – One Tribe Mamas alongside Anisha. Feel free to email her if you have any questions regarding our work in Kenya. Leanne Hall is our sponsor liaison. If you have a question about sponsorship or you are a current sponsor, and would like an update on your child, please email Leanne. She is one of the kindest people we know and is always ready to help. Sandra McLeod is our volunteer coordinator. Sandra has been to Kenya many times and knows our project well. She is happy to answer any questions you may have if you are intending to visit us. Please don’t hesitate to email her if you have any questions or would like to start the process! Caitlin Brogden runs our social media accounts. Caitlin has been a supporter of Mission in Action for many years. She has also visited us in Kenya. She is the one you have to thank for all of the beautiful photos and updates that go up on our facebook and instagram pages. Vicki Chapman runs our One Tribe Mamas shop. When you receive your tote bag, apron or table runner beautifully packed this is thanks to Vicki. Put simply, One Tribe Mamas wouldn’t be here without her. The money that we make selling our products finances the project. Vicki volunteers her time and does so much running around for us, and we appreciate her so much. In every country of the world there are children who live without their parents. The reasons are as complex and as varied as life itself. It’s the same in Kenya. The numbers are magnified in places like Kenya, as there are no welfare systems in place, to protect healthy families that are just too poor to look after their children. Mission in Action Kenya has never accepted a child for reasons of poverty. That is the simplest of problems to fix. Our Children come to us for a variety of reasons. Many of our children have been abandoned as infants for unknown reasons. From family pressure, teen pregnancy, to poverty, no welfare support, mental illness. A newborn baby cannot tell a story. They cannot tell you about their Mother and the struggles she has had. They cannot tell you why she thought her only or best option was to abandon her baby: in a pit latrine, in a plastic bag and thrown on a fire, on a stranger's doorstep, in a paddock on the morning of his birth - naked. These are actual stories of our babies. These stories inspired us to start our community project One Tribe Mamas – which gives vulnerable Mamas a better option. Some of our older children have come to us after suffering years of abuse at the hands of their parents. Some still bear the physical and emotional scars. These children will often know of extended family members. Our social worker works on re-integrating these children with an extended family member like a grandparent, aunt, or older sibling. This is not a quick process as we need to know our children are going to be safe and well looked after. We try to be as supportive as we can in this process. Assessing the needs of the family. Working therapeutically via the social worker over many months and sometimes years. Ensuring the child continues their education. Supporting the family with small business training and start up if necessary. Foster Care Program – Mia Mini House. We also have a foster care program. Our children stay in small family homes within our community with foster parents. We take these placements very seriously and will never rush this process. These foster parents must commit to the child for the long term, as we do not want multiple placements for any of our children. Our foster parents receive training, an allowance, and also free housing. We give them respite time and are very supportive of them. Our foster parents are doing the most important job in the world – raising our precious children and we want them to know their value.